I really don’t like being negative. I firmly believe there’s a silver lining, a hidden use, or some beautiful detail to almost everything. But gee shucks, it’s sometimes hard to find. 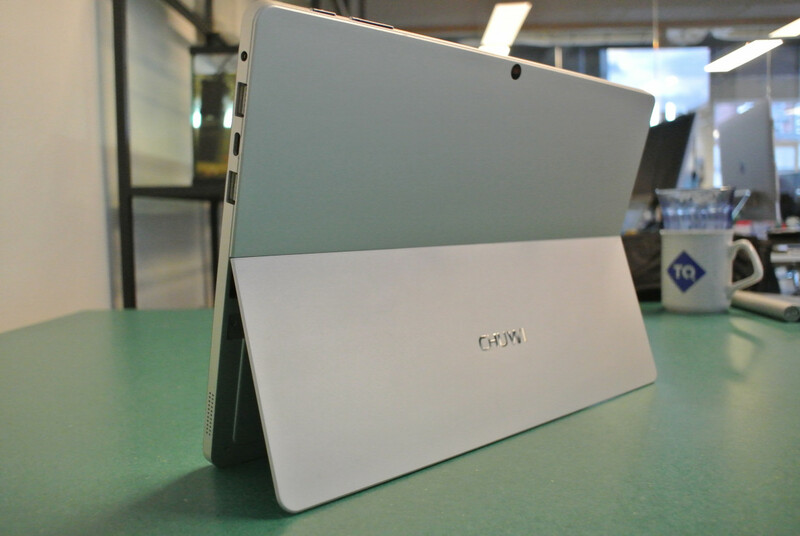 Take Chuwi’s SurBook, a Surface-like tablet pc made by an up-and-coming Chinese manufacturer. 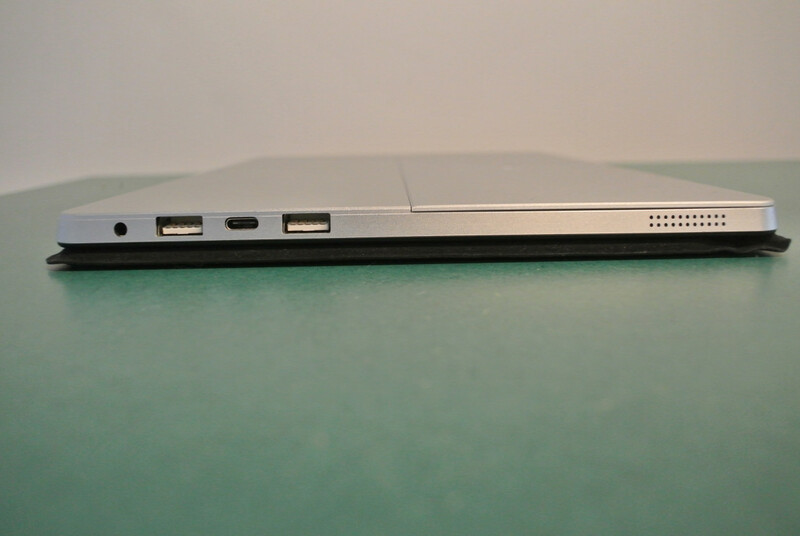 My expectations for it were sky-high, since the company had managed to surprise one of our most experienced reviewers earlier this year with a Macbook Air clone for way less than half the price. Reality, unfortunately, gets in the way of expectations. The device started out as a crowdfunding campaign in May of this year, and quickly surpassed a million dollars in pre-orders. People were hot for the device that was positioned as a Microsoft Surface or iPad Pro competitor for about half the price. It did sound great: a 12.3-inch, 2736 x 1824 resolution touchscreen, 6GB RAM, and full metal body, all for less than $400. Sure, the Intel Apollo Lake processor was a lower-end, year-old chip, and the memory caps off at 128 GB eMMC, but then again, it had a backlit keyboard and two USB A and one USB C ports to round out the package, which seemed fair. 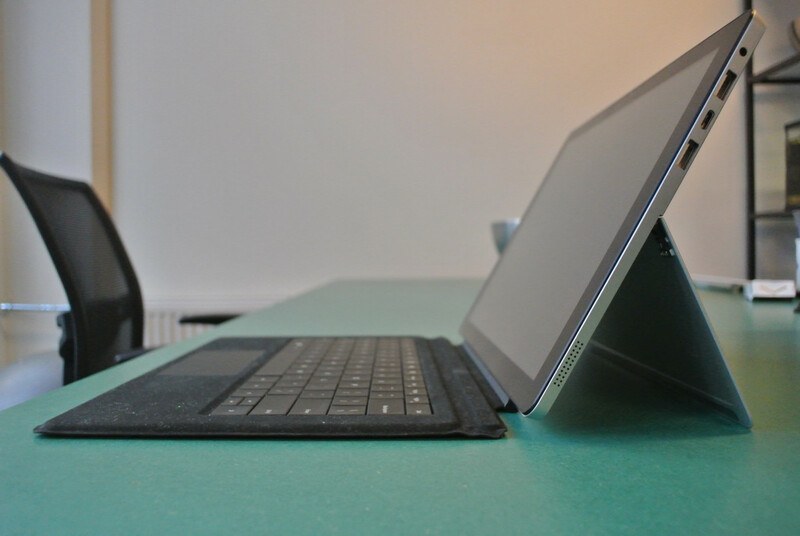 Our fine PR contact at Chuwi sent one over for a review, and once it passed customs for a small fee, it arrived at the office in two frill-less boxes with no unnecessary extras: one contained the tablet and its charger, the other, the keyboard. The device itself is pretty, and doesn’t give away its low price tag at all. 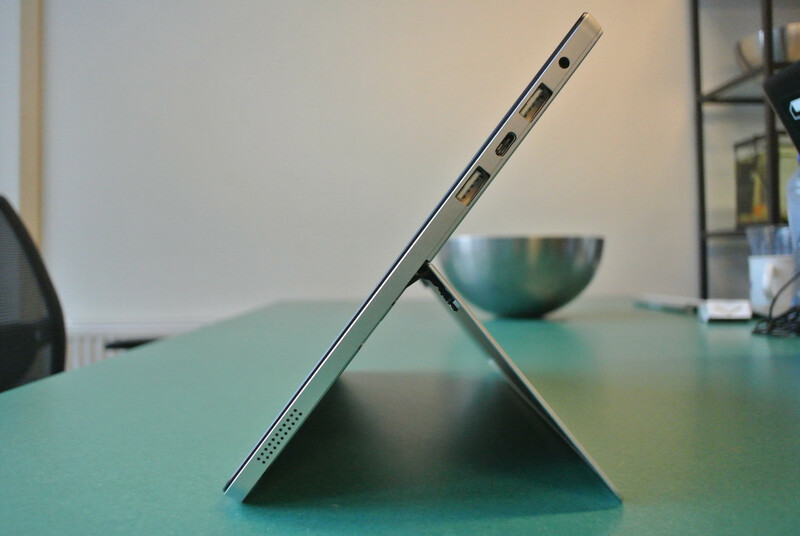 The build quality feels solid, and the tablet has a reassuring heft to it. And then there’s the screen. It’s the exact same screen as the Surface Pro 4, and it’s really good. It’s bright, sharp, and vibrant. If only the rest of the tablet was as delightful. As a laptop it’s sluggish, and starts to stutter with only a few tabs open. The keyboard is bad. It has magnets that should stick to the screen to angle it slightly, like in the Surface, but the magnets are too weak to hold up even the slight weight of the keyboard. This means you’re left typing either on a totally flat surface, or having to resort to the touchscreen – neither of which are suitable for any type of writing work. 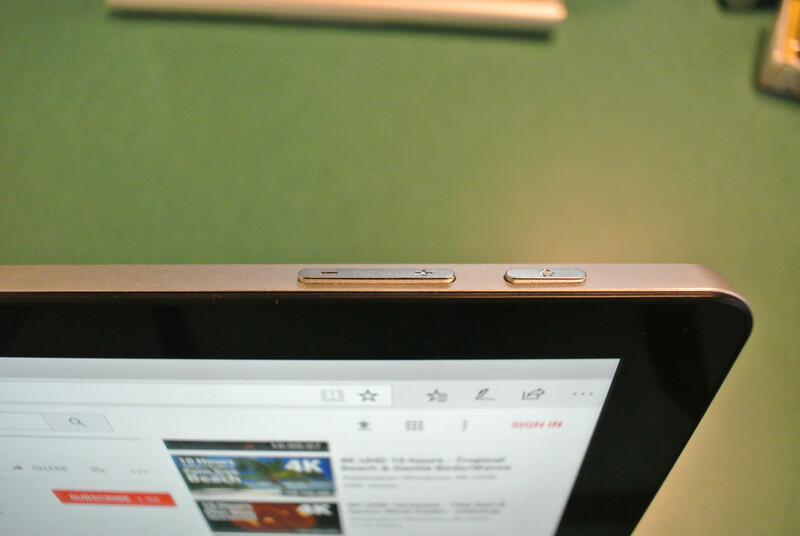 Let’s not even broach the touchpad. Fine, I thought, it won’t be my daily driver, it won’t be my trusted work companion, but it should perform fine as a home computer for light browsing and controlling smart stuff. It didn’t. 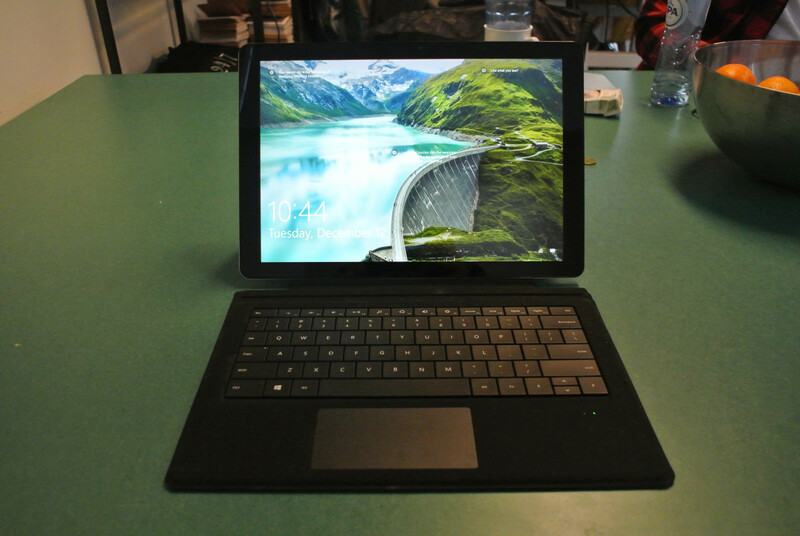 As a two-in-one, it misses the snappiness of a full-on tablet with a lighter OS, and it misses the power of a PC for anything other than one or two tabs. It falls right in the fallows, the uncanny valley of PCs, in which its similarity to something familiar misleads you to missed expectations. I wasn’t ready to give up though. There had to be some use for this product, some use in which it wouldn’t dissappoint. Then it hit me. The problem wasn’t the PC, the problem was me. I was the one with unreasonable expectations. As a human, I had been spoiled by high-performance devices. I had developed an amount of patience that failed to live up the SurBook’s standards. Luckily, I knew who to turn to: our office fish. Brilliant. At first I set them up with a 10-hour, 4K video of underwater footage. I figured they’d enjoy a wider perspective on what else is out there in terms of their species. They didn’t seem to care for it. That did get me interested in what goldfish do enjoy watching. What if seeing bigger fish scares them? And can they see anything on a screen at all? Apparently, yes they can. Goldfish have pretty good visual acuity, they can distiguish more colors than humans, and are known to recognize people by their faces. Intruiged to know more, I reached out to Dr. Caitlin Newport of the University of Oxford, who specializes in how fish use vision. So even though goldfish are not extremely territorial, a video of underwater footage with larger fish languidly swimming by might be more of an equivalent of a scary movie for humans. I decided to give them something even more soothing: 10 hours of 4K footage of Earth from space. This they seemed to enjoy, whatever that means for goldfish. And as an added bonus, I enjoyed this. The combination of two of the more soothing visual experiences for humans worked as charm in our normally stressed-out newsroom. Now lets hope Chuwi’s newly released, more powerful 2-in-1 can please both this spoiled human and his fish. If your goldfish need some entertainment, you can get Chuwi’s SurBook for around €350/$400 on Gearbest.